It's important for you to have a reliable source for parts for your Ford F-350 Super Duty. 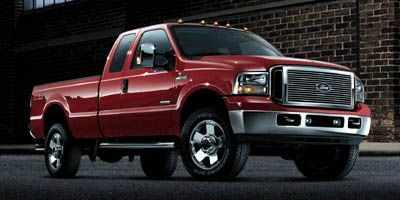 It doesn't matter what year your F-350 is; FordPartsOnSale.com carries genuine Ford parts and accessories to fit your truck. Even if you're not sure which part you need, we can help you. Any staff member who answers the phone has extensive Ford parts experience. Radiators – A leaking radiator will cause your engine to overheat, so keep your F-350 on the road with factory-spec replacement radiators that are big enough to handle the job you ask your F-350 Super Duty to do. Replacement Mirrors – A broken mirror is a safety hazard, so if you broke a mirror, buy a new one. We carry mirrors and other parts for F-350s dating back to the 1980s. Maintenance Parts – You can save a lot of money by doing all of your own maintenance work like oil changes. We offer a long list of maintenance parts like filters, hoses, and belts. We carry a full line of maintenance and repair parts for Ford vehicles dating back to the 1980s. Call 585-475-1064 today and we will help you find what you are looking for.